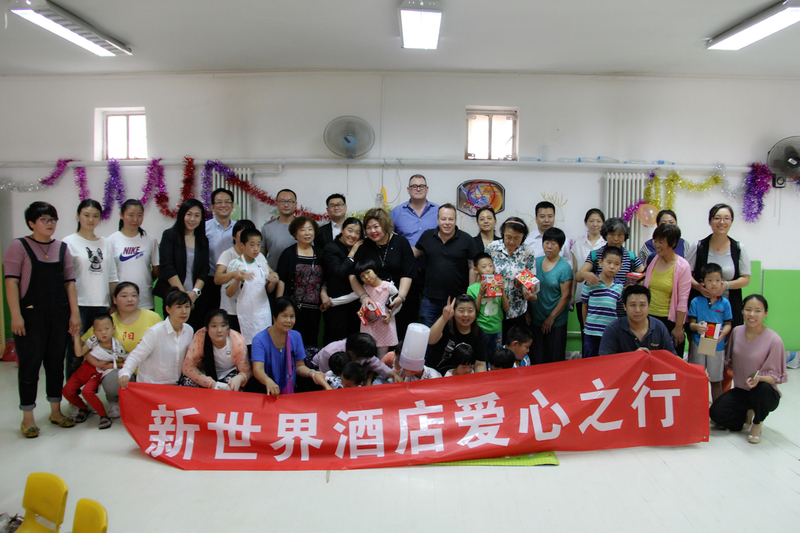 Beijing, China, September 19, 2016 /ChinaNewswire.com/ - On 14 September 2016, just before the Mid-Autumn Festival, the management of New World Beijing Hotel visited the Beijing Sunshine Love Intelligent Children Rehabilitation Centre, a special school for children with autism. One of many charitable initiatives the hotel has embarked upon since its opening in November 2013, this activity aims to bring New World Hotels’ spirit of “Modern Oriental Hospitality,” along with a host of teaching tools and gifts, to children who are often forgotten or misunderstood by their families and carers. New World Beijing Hotel prepared moon cakes for the school’s teachers, who devote their time and energy these special children. 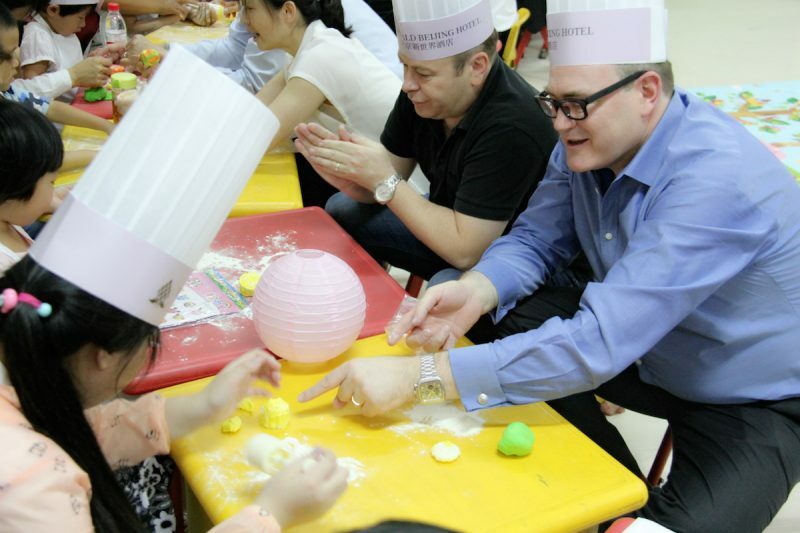 In addition to spending time with the children, New World Beijing Hotel management also attended a music class and joined the children in making moon cakes in preparation for the holiday. This experience brought positive energy, happiness and excitement to both the New World Beijing Hotel team members and the children they were visiting. “I am very proud of my dedicated team members for donating their time and energy to this very worthy cause. We look forward to continuing to help those in need in our local community with further charitable activities throughout 2016,” said New World Beijing Hotel General Manager Eddy Sarton. The 309-room New World Beijing Hotel is the closest deluxe hotel to the Temple of Heaven and is conveniently located near Tiananmen Square, the Forbidden City and the Wangfujing shopping district. Hotel dining includes Tian Tan Kitchen, an all-day café; 8 Qi Nian Chinese restaurant; TANG lobby lounge; and YIN on 12 rooftop bar. Recreational options include a health club, spa and indoor swimming pool while meeting space totaling 1,542 square metres includes a windowed ballroom and six function rooms. The Residence Club executive floor offers the largest outdoor terrace among Beijing’s luxury hotels. Send your important company message to over 30,000 Chinese journalists, online influencers and reporters!